We spent an amazing week with Deni, but all good things come to an end. 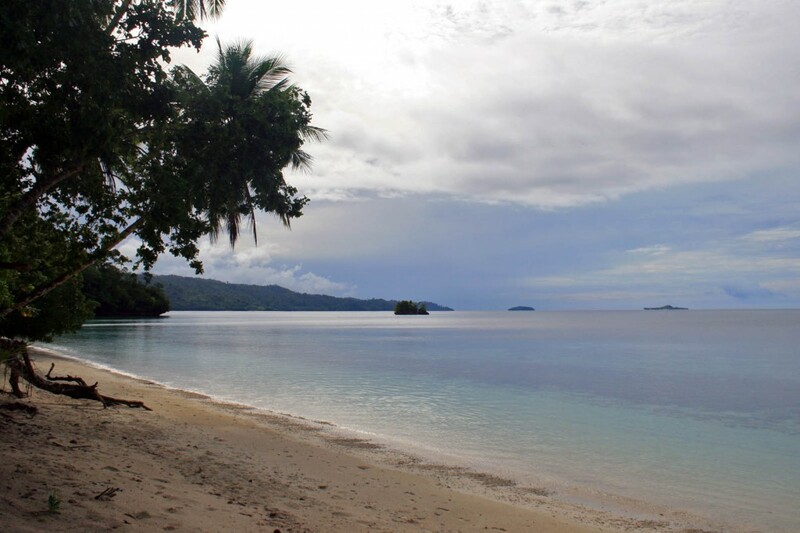 Our friend Maryse had been raving about her stay with Raja Ampat Biodiversity, the amazing dives, and the incredible food. So, Steve and I huddled around our small pile of cash to figure out if it would even be possible for us to afford a stay at Biodiversity. And we could, we could afford exactly one night, paid in Indonesian Rupiahs and US Dollars. But by the time we got back to them they were full. Solution: we slept on the floor of the budget room, that wasn’t even finished yet. 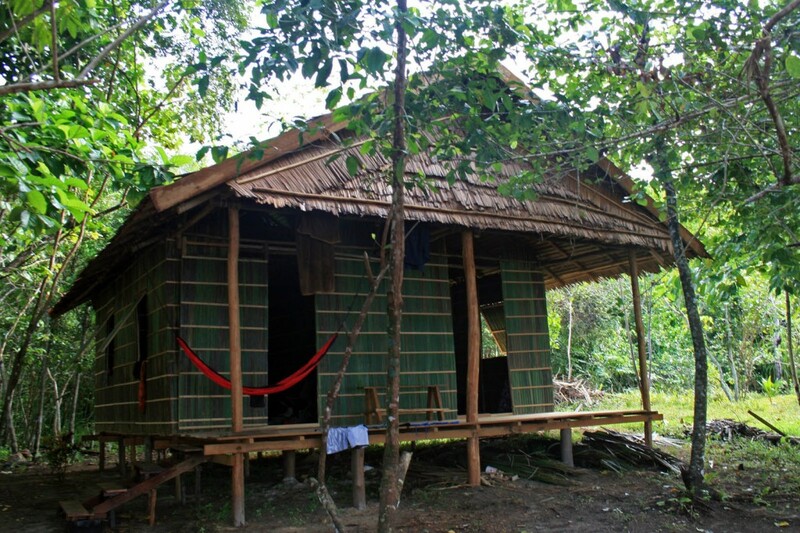 Rey and Patricia (the amazingly generous owners) were able to provide us with a sleeping mat, linens and a mosquito net….which honestly was all we needed. Our last minute budget digs… so perfect!!! 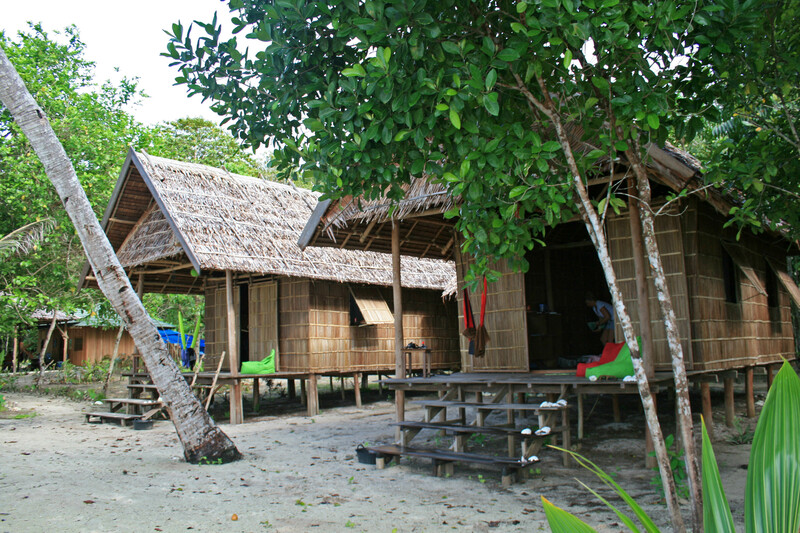 This has got to be one of the best places to stay in Raja Ampat! 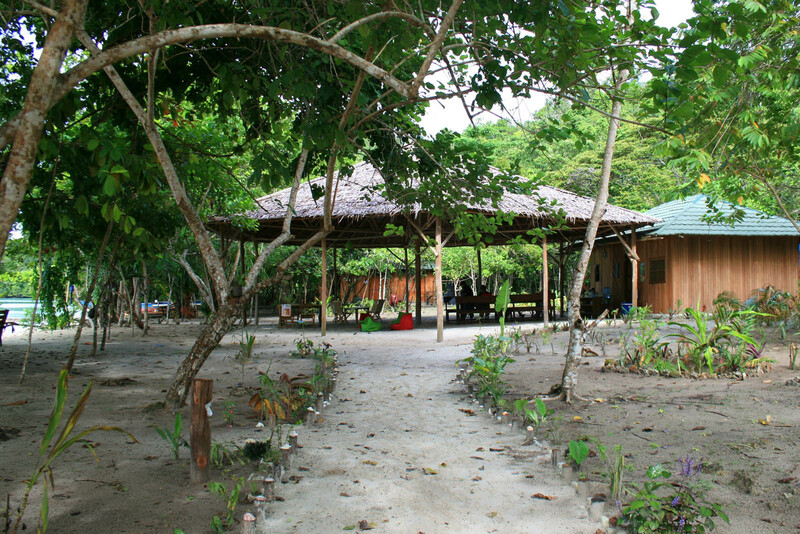 Completely unpretentious, knowledgeable owners, amazing food….and the location on Gam Island is nearly pristine. It doesn’t matter where you are on the property of the eco-resort you’re a mere few feet from the jungle or the reef. The food was amazing!!! They are truly blessed to have such an amazing chef…. so many flavors. I wanted to keep eating well after the point of being full. We went diving at Blue Magic, a wall dive (that I unfortunately don’t remember the name) and their house reef. All the dives were amazing and literally teeming with life. AND they were long!!! I’m talking 85-90 minutes. It doesn’t get much better than that. I’m really hoping Steve will put together a video of our dives. I’m thinking Steve and I will need to come back here…maybe an anniversary trip???? It would be amazing to be able to spend more than 1 1/2 days with Biodiversity….next time we’ll definitely budget for an entire week. This entry was posted in Travel and tagged biodiversity, eco-resort, gam island, Indonesia, Raja Ampat, scuba diving, West Papua by autumnadams4. Bookmark the permalink.